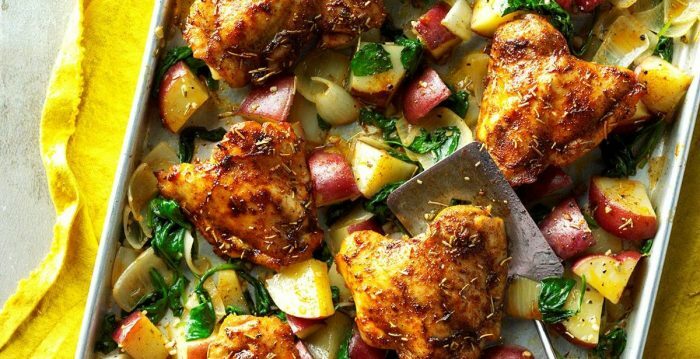 Chicken, root vegetables and small potatoes roasted with aromatic herbs make a delicious and nutritious, simple supper – all on one sheet pan. Round out the meal with baked apples drizzled with maple syrup for dessert. Learn how to cook with the seasons, making nutritious and delicious suppers – easy enough for a school night or for a celebratory gathering around your table. Enjoy preparing dinner with your child or a younger person in your life. Tips on how to shop seasonally and economically, ideas for weekly menu planning and presentation, and how to include younger kids in the kitchen with age-appropriate cooking tasks. Classes are for one adult and one child (children 6 and up).